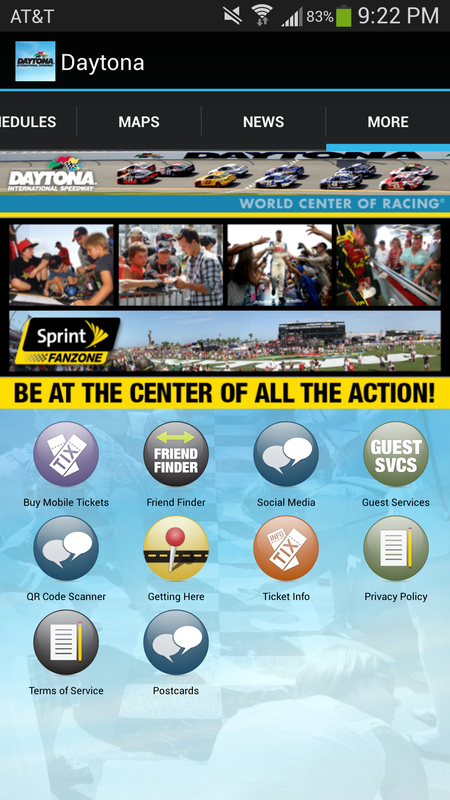 Spotlight on #SocialMedia: Tips from Daytona International Speedway | Says who?! If you told me you’d never heard of The Great American Race, I’d call you a liar. No really, I would. After being so quick to call you names, I’d give you another chance. “What! 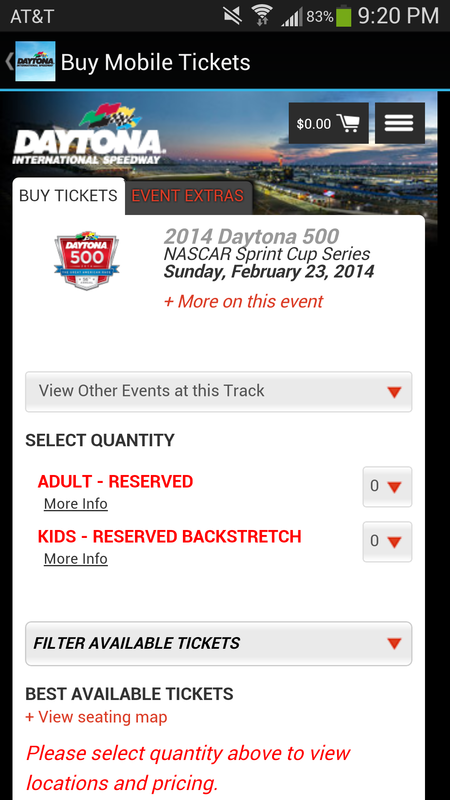 You’ve never heard of the Daytona 500???! !”, I’d shout. Ahhhh, there. Recognition. You get it! A tradition steeped in history, the 500 is held every year in Daytona Beach, Florida, at the Daytona International Speedway (DIS). While most people most certainly recognize the brand due to its longevity and roots as a favorite American pastime, DIS does its fair share on the internet to stay in front of The Great American Eyeballs. 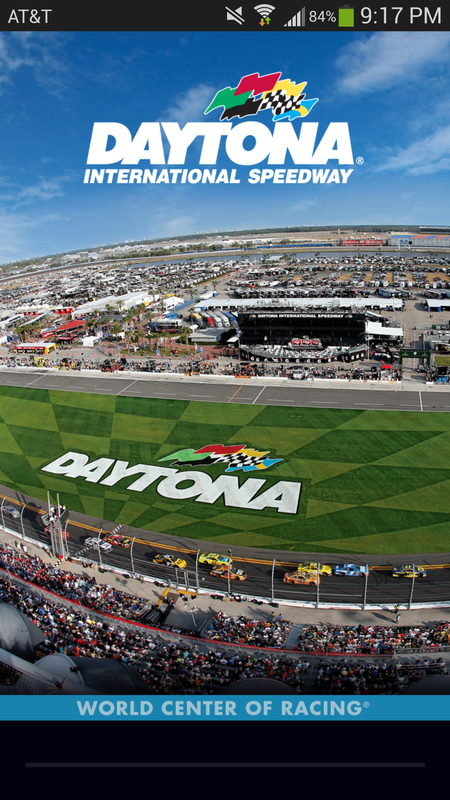 Meet Lane Fuller, Interactive Marketing Specialist at Daytona International Speedway. I had the pleasure of interviewing Lane and getting some fantastic insight from her. Here are my top six takeaways from our Q&A. You can read the full Q&A after the break. Learn the language of your fans and followers. Speak to them the way they expect to be spoken to. You’ll find it much easier to connect with them this way. Think it over. People and organizations that post too frequently and without much forethought or purpose might alienate followers and fans. Don’t take things too personally. 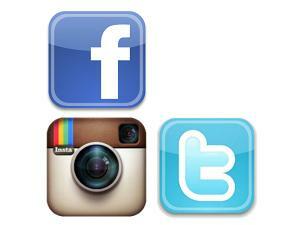 When you work in social media, you’re oftentimes the voice of a brand or company. Not everyone will like what you have to say, but it’s not YOU they personally dislike. Balancing information and entertainment in your content is key. Take a unique approach to your content. If you do things the way everyone else does, you aren’t providing valuable content and you won’t stand out. Don’t discount mobile. Depending on your brand, building a phone app may be significant and beneficial to you. Q: Let’s start from the beginning. What prompted you to welcome social media into your routine and, eventually, land in a social media role with the Speedway? How does an Interactive Marketing Specialist differ from a “social media professional”? A: I first welcomed social media into my routine as a way to stay connected with family and friends with life taking us all in different directions. As a college student majoring in Sport Management, my eyes were opened to the growing influence of social media marketing. I began paying more attention to what different companies and teams were doing in an effort to better understand digital trends, tools, platforms, etc. The role of an Interactive Marketing Specialist is different from a social media professional in that it requires involvement in digital efforts beyond just Facebook, Twitter, Instagram, etc. My role includes managing and developing content for our website, mobile app and promotional email campaigns, as well as analyzing performance metrics and SEO. Q: What is it like to be the person responsible for overseeing the online voice of a well-known entity? A: It comes with a great responsibility. Our fans look to us for information but also entertainment. Balancing the two is key. Q: What makes social media so different from any other traditional marketing/advertising/PR tools? A: I think the main difference is that social media allows us to engage directly with fans and participate in an open dialogue. Using social media as a marketing tool gives us an opportunity to establish a relationship and community with our fans that ultimately helps strengthen our brand identity. Traditional marketing tools are not as collaborative in nature. 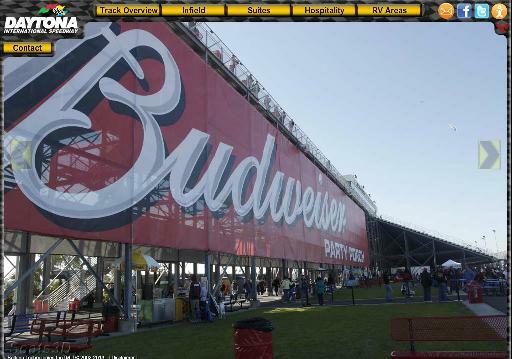 Q: How has social media affected the Speedway’s approach to consumer interaction? A: Since establishing a presence and becoming active on various social media platforms, we have been able to address fan questions and concerns quickly and effectively. When unforeseen circumstances take place during an event, we are able to communicate any updates directly to our fans almost immediately. I think this is huge in terms of establishing credibility with our customers because they know where to go for the most up-to-date information. Fans who share photos, comment on posts, tweet directly to us, etc., are regularly shown social media support via retweets, replies, etc. Not only do they know we are listening, but they are also more likely to share content in the future. Q: Social media is all about sharing and engaging, but what should be kept OFF social media? A: I think strong opinions should be kept off social media, especially for companies with a wide variety of consumers. While all of our fans are welcome to share their own opinions, as a company we take a neutral stance on topics that could potentially be controversial. I think it’s very important to take the time to think through what you are about to share before doing so. Be very careful about the type of content you are posting, because you never know what might offend someone. Q: What are you favorite platforms and which have been most successful for you, both personally and professionally? A: Instagram is currently my favorite social platform. I think being able to share photos and videos directly through one social platform is great. Not only is it extremely convenient, but it also keeps things interesting for fans. I like how easy it is to share across other platforms simultaneously and enjoy being able to interact in an ad-free environment. I think the whole layout is very clean; as a result, the content is the main focus. Facebook has been the most successful social platform for DIS in terms of sales and audience growth. I also think the Insights Facebook has made available to company pages is extremely valuable from an analysis perspective. Our audience continues to grow at a steady rate on Twitter and it has been really interesting to see advocates emerge on both platforms. Q: What drives (pun intended) engagement? A: Taking a unique and characteristic approach to content, knowing what your fans want and speaking the same language are a few keys factors that I think help to drive engagement. Q: How important is it to have a social media policy for employees? A: It is very important. I think employees should be able to use social media freely (not necessarily during work hours) as long as they do so responsibly and do not jeopardize the company’s reputation. Q: How do you set social media goals? What might they include? A: We set goals around specific events based on the results from previous years and also for the year as a whole. Some of these goals include audience growth (new likes/followers), sales, people talking about, page views and reach. Q: What is your biggest (social media) pet peeve? A: People and/or companies that post/tweet/share content too frequently without much forethought or purpose. Q: How does the average person/student/business get started? Aren’t there barriers to entry? A: I don’t think there are any physical barriers to entry. With the social media profession as a whole being in such high demand at the moment I think there are plenty of opportunities to get started even if it is at an internship level. I also would not discount opportunities in other departments of a business you are interested in working with as this could allow you to get your foot in the door and network with others to get where you want to be. I also think it is a good idea to develop a strong portfolio based on past projects and achievements to share with potential employers during interviews. Q: What role does social media play in brand building? A: It is a huge part of connecting with fans and consumers. In terms of building the brand, I think it provides a unique opportunity to create an identity that fans become emotionally attached to and view as one of their friends. Q: Was developing a phone app noticeably beneficial to your brand? Would it be to every brand? A: I’m not sure if it makes sense for every brand but it definitely works for DIS. 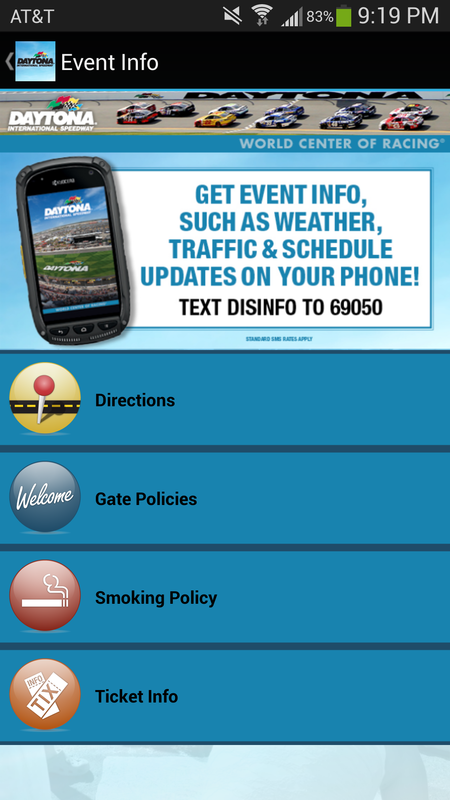 It is a great tool for fans to use during race events so they can quickly and easily access maps, schedules, track info, policies, etc. We are also able to send push notifications to anyone who has downloaded the app with important information and/or announcements. DIS mobile app downloads, page views and time spent continue to be on the rise for both Android and iOS devices. Q: After embracing social media, what has been the most difficult thing you’ve had to teach yourself (or unlearn)? A: Not to take things too personally. There will always be fans who may not like something and are not afraid to let you know but it’s important to realize that this is the nature of social media and not necessarily a bad thing. Q: Is social media really a critical tool for any organization in today’s marketplace? A: A critical tool for any company/organization in today’s marketplace? Yes, I believe so.